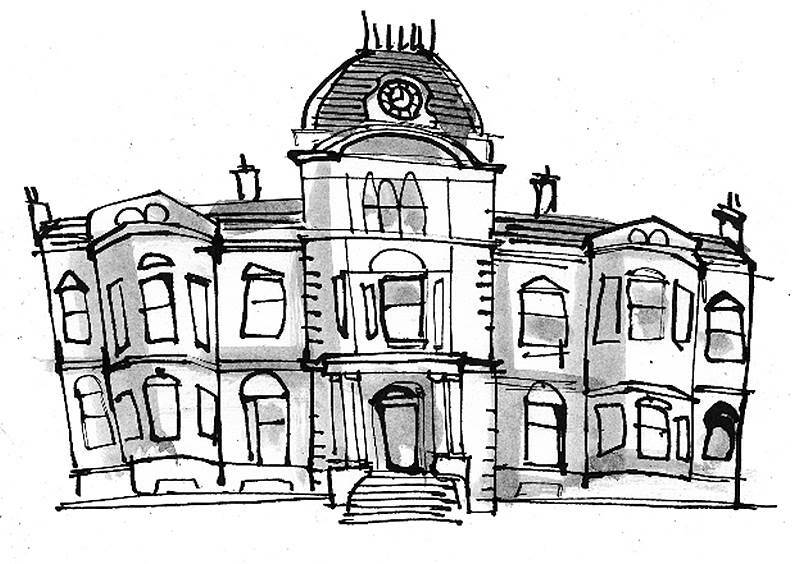 John Blackburne’s house was eventually donated to the city, becoming the women’s branch of the Mechanics’ Institute and then Liverpool Institute for Girls in 1874 – it was one of the first established exclusively for the education of girls. It finally closed as a school in 1984, reopening as the Women’s Technology and Education Centre soon after. In 1790, Blackburne House (from the hotel entrance look right) was a country mansion perched high on a hill away from the hoi polloi below. It was home to John Blackburne, a former mayor of Liverpool. Past his gardens were the city’s workhouse and a quarry, the stones of which were used to build the city’s burgeoning docks. By 1890 his house had become a girls’ grammar school, and the gardens a street of chapels, a synagogue, a library, concert halls, Masonic headquarters, convents, clubs, art studios, and a coach builder – The London Carriage Works. 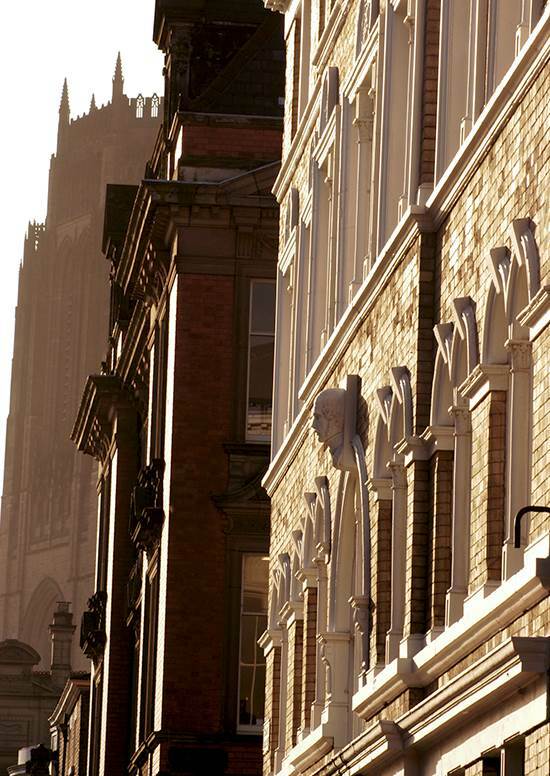 Some 200 years later, the workhouse and the quarry had been replaced by two of the most iconic buildings in the country, Liverpool’s two Cathedrals. Many of these buildings or institutions remain, including the London Carriage Works, all sharing new guises on this distinguished streetscape.